I'm pretty sure you've heard about this concealer before. Or if you haven't, you need to. This is probably the most underrated product from the drugstore, ever. And I know that's quite a statement but it's true! Catrice is available in many countries all over the world and I haven't heard anyone talk about it except for KathleenLights and a couple Portuguese Youtubers. No one on social media talks about it, no bloggers, YouTubers, Instagrammers talk about it and it's really sad because they don't know what they're missing on. 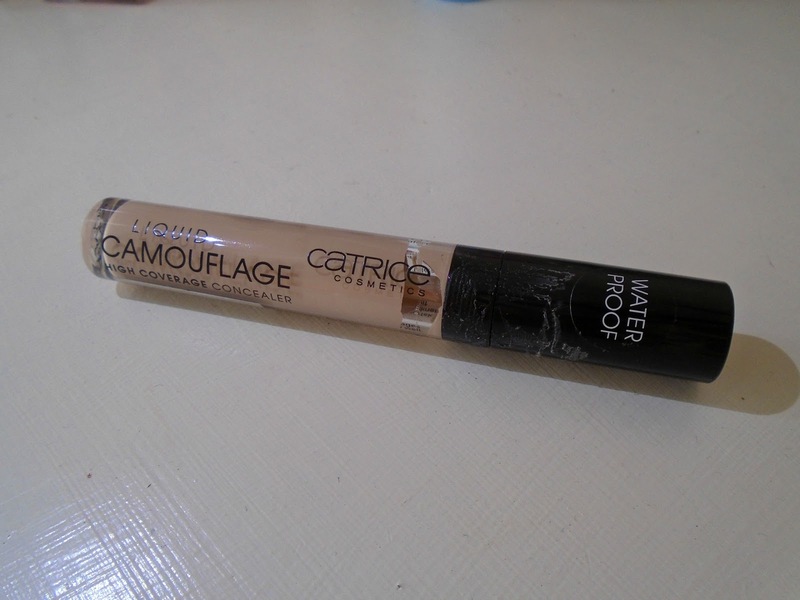 I've always been a huge fan of Catrice but when it comes to this product, I had never given it a second glance (partially because they're in a little corner on the bottom shelf while I tend to divert my vision to the colourful eye and lip products on the upper shelves) but when I heard Kathleen talk about it I knew I had to get it. When I got there, I wasn't really sure of what shade to get. A downside to this product is the lack of shades. They only have three shades and they're very similar. (They do have a product to darken/lighten foundations and concealers though but it'd be much better if they just had more shades) I grabbed the darkest shade and it seemed too dark for me. The other two looked fine but I wanted one that wasn't too light because not only I was gonna use it under my eyes, but also on blemishes. I ended up getting the middle shade and it's perfect for me. When it comes to the packaging, I don't hate it and I don't love it. It's pretty, it's basic and it gets the job done but it's nothing that you'll want desperately to display in your vanity for everyone to see. Oh and if you notice any glue or anything like that in the picture above, it's not Catrice's fault, it was the alarm tag that had a crazy amount of glue (obviously so that no one could take it off in store). The product itself is honestly the best thing I've ever tried. It's super easy to blend and it also dries fast so I would probably do one eye at a time until you get the hang of it, it has a matte but not flat finish and it stays on all day long. It doesn't crease, doesn't move, doesn't lose pigmentation. It also says it's waterproof and I kind of agree with it, I've worn it on really hot days and my sweat didn't change it one bit but is it "swimming in a pool" proof? I don't know. I feel like no matter what your skin type is, you'll be able to wear it because it's not drying but it's not oily either. Overall, this product's quality is way over its price and it's a real staple in anyone's makeup collection. I absolutely love it and recommend it. It looks like a great one!